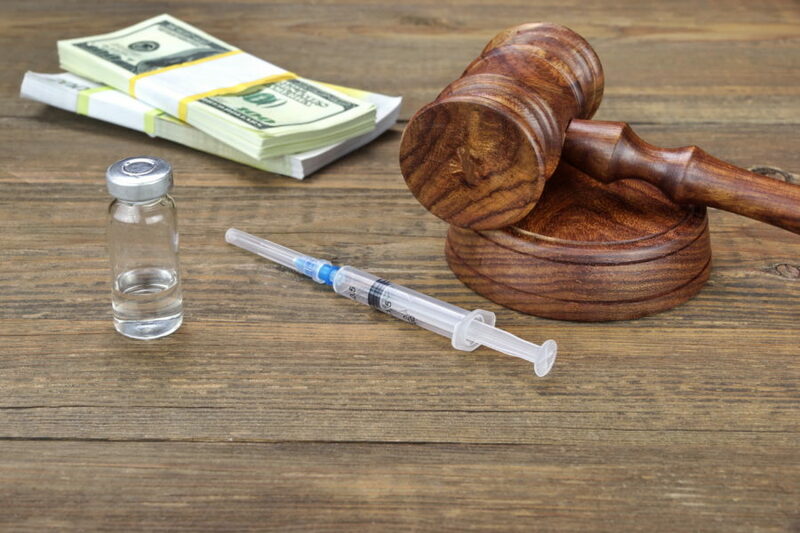 Pharmacy is often held responsible for helping reduce medication errors and yet make it simple enough to not burden clinicians with complicated processes. All companies that work in healthcare have a duty to help improve medical practices and technologies in the best ways that they know how. 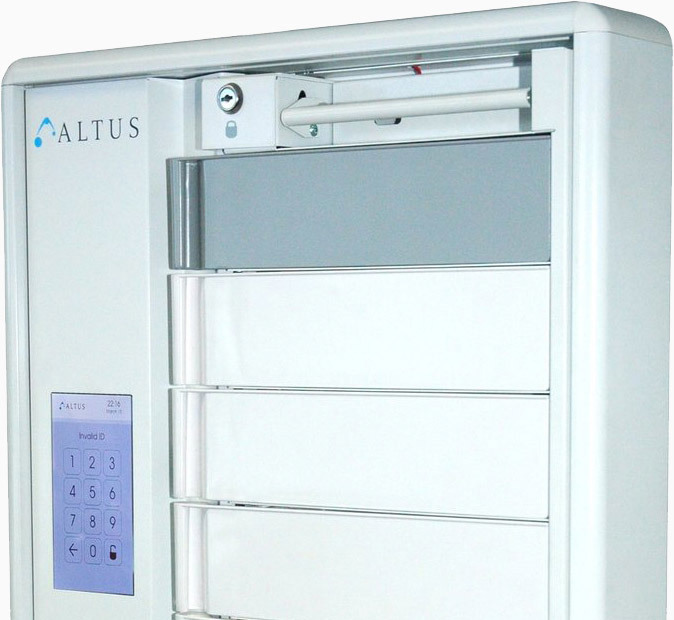 At Altus, our main goals are patient satisfaction, healthy caregivers, and optimal mobility. 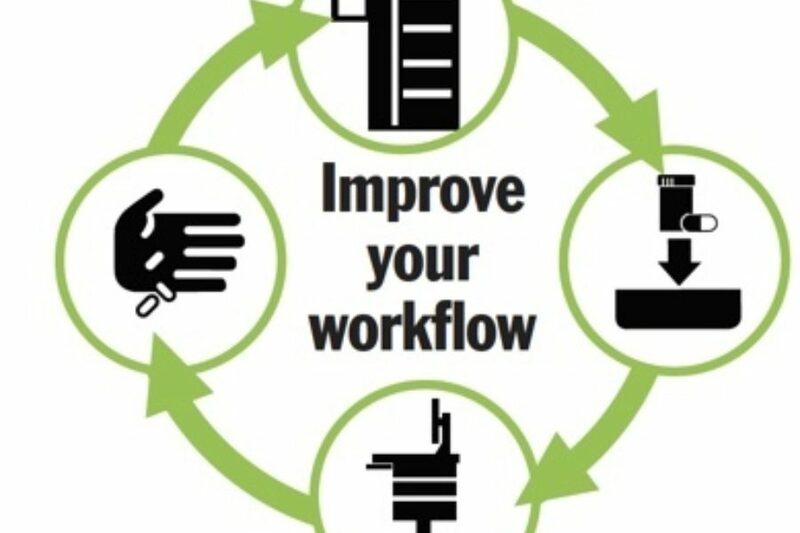 Our technology workstations are built with these three tenets in mind. We place an emphasis on human factors, which work to contribute to a healthy and productive work environment. Clinicians walk over 5 miles per shift and can send up to 40% of a shift getting supplies. 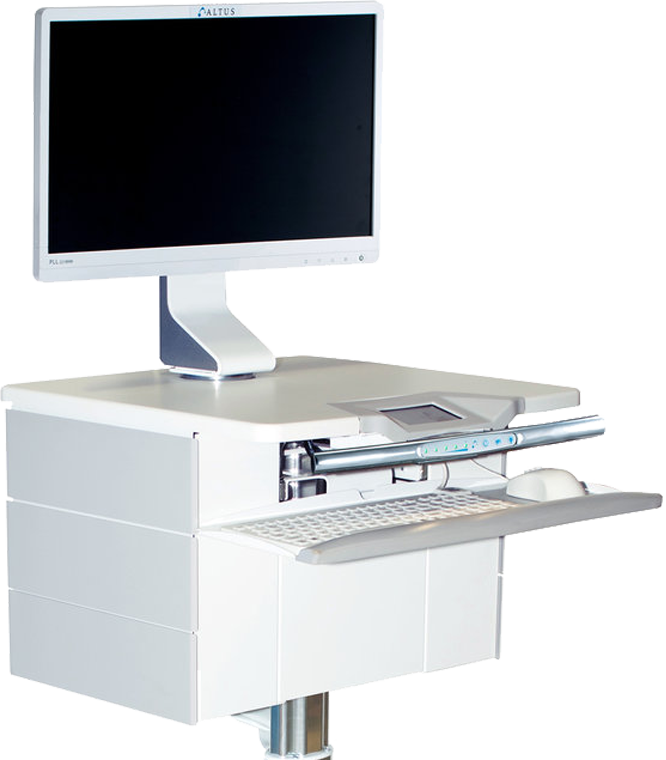 Reduce distraction and time spend getting supplies by stocking the ClioMed cart of RediMed cabinet with patient medication to help give nurses more time with patients and improve patient satisfaction. 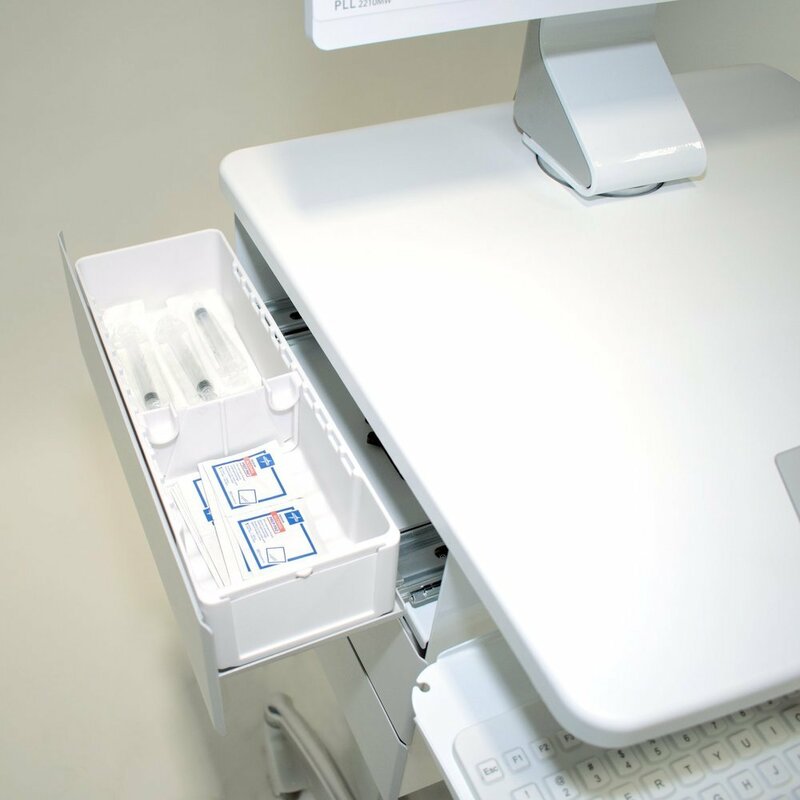 Each patient’s medications will be individually locked and clinician access can be monitored at the cart, wall unit, or from a computer with access to the central management software. Both RediMed and ClioMed run on the same simple and intuitive software platform to make it easy, fast, and secure to access patient medications. With options to use access codes or RFID badges, setting up the units for your security and workflow needs is a snap. 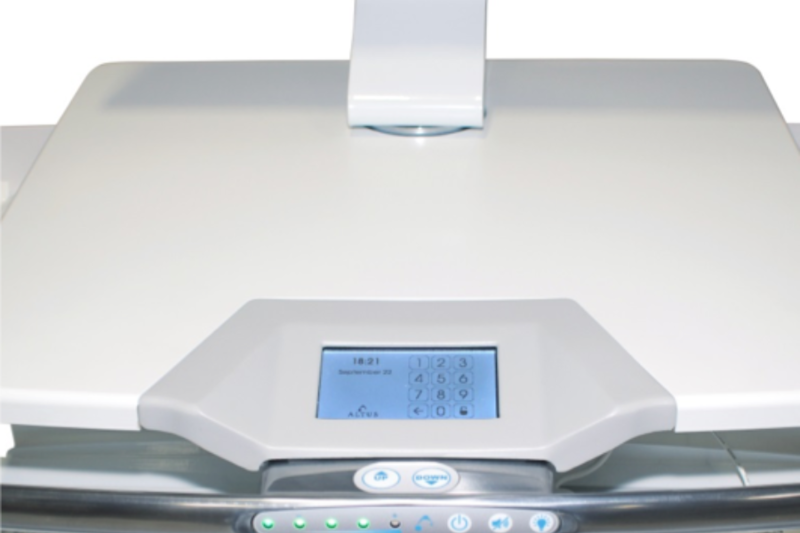 Our software allows you to tag drawers and bins by patient name, room number, medication type, or however best works for you to ensure it’s the right solution for you.